"Beauty is truth, truth beauty..." "Respect truth wherever it is found." 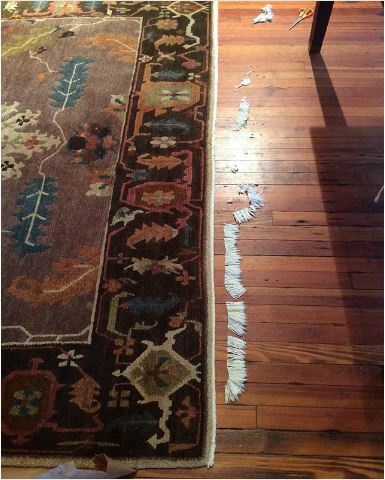 This 10x14, modern-style, hand-knotted oriental rug as conceived and executed has just as much going for it -- except creation by a renowned artist -- as many 20th century modern paintings selling at auction for millions of dollars. 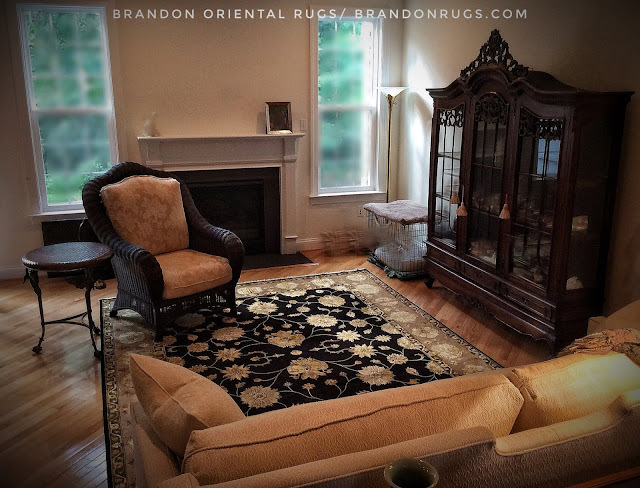 If you like the look; don't need bragging rights to owning a famous artwork; and want to save millions, Brandon Oriental Rugs is dedicated to help you find the truth about real handmade rugs; and possibly find one to help you make your home a work of art. Brandon Oriental Rugs -- Our customers in Ambler, PA selected this "Christmas present for the entire family". So practical: it unites all elements of the decor, providing elegance, comfort, and warmth as the complement to the room. 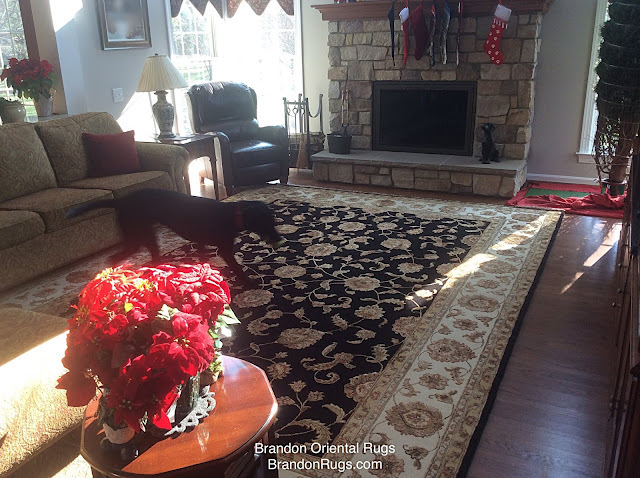 Not only will it bring joy this year, but for years and years to come at the center of this family's home. Brandon Oriental Rugs -- Hand-knotted silk and wool oriental rug brings elegance and intimacy to the old and new furnishings in the living room of our customer's new Bucks County, PA townhouse. 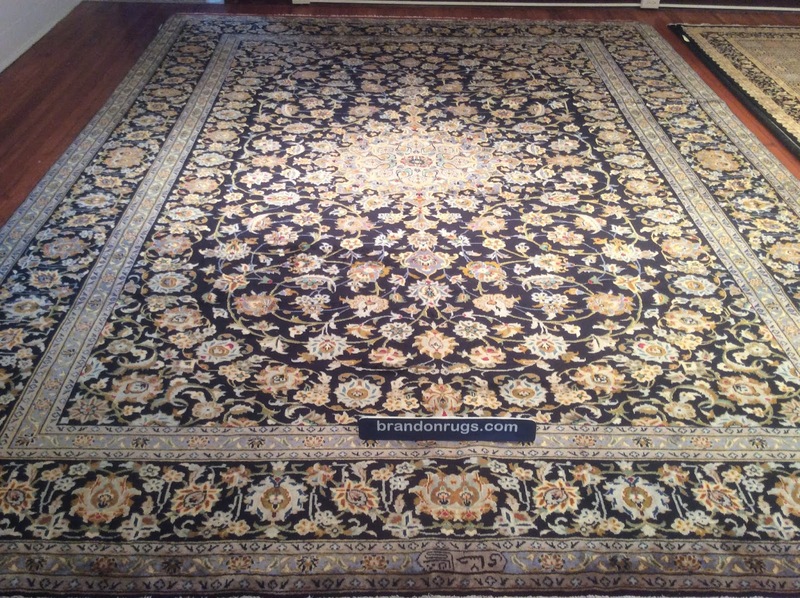 Brandon Oriental Rugs - An impressive hand-knotted Persian Kashan rug (10'4'' X 13'6" navy/navy) speaks for itself. Signed. One-of-a-kind. Made to endure. Attractively priced. 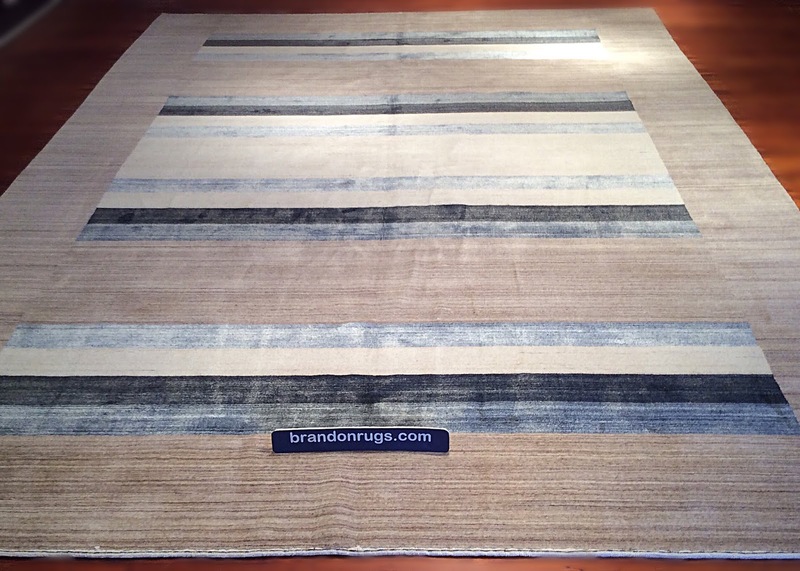 Stunning in comparison with contemporary rugs.